Are you looking to brush up on your Pesach Divrei Torah? The next 3 Parsha Shiurim will be on Inyanei Pesach and the Haggadah. Tonight, Thursday, March 28, 8:30pm, Yossi Prager will speak on: Were the Eser Makot Successful? Thursday, April 4th, Rabbi Adler will speak on: Inyanei Haggadah. Thursday, April 11th, Rabbi Sason Gabay will speak on: "Birchas Hanisim"- Where and when is it applicable. Learn with Us: A strong emphasis on limmud torah and adult education is a founding principle of Rinat. Our offerings range from a multitude of weekly shiurim to frequent guest lecturers and Scholars-in-Residence to Israeli film festivals and more. We have developed a rich and varied program to appeal to learners at all levels and many areas of interest. Due to the inclement weather, tonight's Parsha shiur with Rabbi Adler has been cancelled. Parasha Shiur tonight December 14 at 830pm Tonight we are fortunate to have Rabbi Tully Harcsztark speaking. Topic Power and Spirit The Haftarah of Chanukah in Context. Please join us! Tonight we are fortunate to have Rabbi Tully Harcsztark speaking. Topic: Power and Spirit: The Haftarah of Chanukah in Context. Rabbi Adler's Monday night Gemara shiur change in schedule: The shiur will take place tomorrow, on TUESDAY night, November 28 at 8:00pm. Rabbi Adler's Women's Chumash shiur and Women's Mishna shiur will take place on Wednesday as regularly scheduled. The Adult Education Committees of Cong. Rinat Yisrael and Cong. Beth Aaron present Nitsana Darshan-Leitner, Israeli activist attorney and a leader in the fight against Palestinian and Islamic terror group financing. Nitsana will speak about her new book, Harpoon: Inside the Covert War Against Terrorism's Money Masters. Please remember that we have reinstituted the weeknight 7:30pm Maariv minyan. Please attend this minyan if it fits your schedule, as we have been having a problem getting a minyan. Please note that Rabbi Adler's Gemara shiur tonight, October 30, will take place in the Beit Midrash. Women of the community are welcome to join Yoetzet Halacha Shoshana Samuels in a review of the foundations and practicalities of the laws of Jewish family life. The course will include source-study, real-life scenarios and discussion of the unique ways these laws affect our lives and relationships. Join for one, two or all three of the sessions! This class will explore Judaism's positive view on physical intimacy, one of the often-overlooked elements of Taharat HaMishpacha. This perspective is critical to the study of the rest of the Taharat HaMishpacha process. We will also review the laws of expected menses and be sure that even those without PhD's in mathematics are confident about how to keep a calendar. The Adult Education Committees of Cong. Rinat Yisrael and Cong. Beth Aaron Present Nitsana Darshan-Leitner, Israeli activist attorney and a leader in the fight against Palestinian and Islamic terror group financing. Sunday, November 5, at 8:00pm in the Rinat Social Hall, speaking on her new book, Harpoon: Inside the Covert War Against Terrorism's Money Masters. Our agenda includes not only an overview of the main features of the law in application but the underlying jurisprudence. The Adult Education Committees of Cong. Rinat Yisrael is pleased to present: Ilana Kurshan, author of the acclaimed book, If All the Seas Were Ink. Thursday, November 9 at 8:00pm in the Rinat Social Hall. Rabbi's Wiener's last Tefilla shiur for women will take place tonight from 815-915pm. Women are asked to bring the siddur from home that they use most often. Rabbi's Wiener's last Tefilla shiur for women will take place tonight from 8:15-9:15pm. Women are asked to bring the siddur from home that they use most often. Rabbi Wiener continues his shiur series for women on "Insights into Tefillah and the Structure of the Siddur". Additional note: Daf yomi chabura begins mesechet Sanhedrin tonight at 9:30pm. Rabbi Wiener Tefillah shiur for women - starts tonight!Mondays July 10, 17, and 24 in Classroom D-Eat 815pm - please note change in time Rabbi Wiener will give a 3 part series for women on "Insights into Tefillah and the Structure of the Siddur". Rabbi Wiener Tefillah shiur for women - starts tonight! Rabbi Wiener will give a 3 part series for women on "Insights into Tefillah and the Structure of the Siddur". Please note the following changes toRabbi Adler's Wednesday shiurim There will be noChumashshiur today, Wednesday,June 28. The last Mishna shiur will take place tonight, Wednesday, June 28 at 800pm. There will be no Chumash shiur today, Wednesday, June 28. The last Mishna shiur will take place tonight, Wednesday, June 28 at 8:00pm. There will be a mincha minyan at 7:45pm both today and Tuesday evening, in the Beit Midrash. This mincha is in addition to the z'man mincha minyan at 8:15pm, in order to accommodate those who wish to attend the 8:00pm Adult Ed lectures taking place on the respective evenings. Last Mishna shiur on Wednesday, June 28. All shiurim begin at 8:00pm with mincha at 7:45pm in addition to zman mincha maariv at its regularly scheduled time. All shiurim begin at 8:00pm with mincha at 7:45pm in addition to regular zman mincha maariv at its regularly scheduled time. Pre-Mincha shiur: Shabbat, May 20 at 6:35pm: Yehoshua November, Chassidic poet, will read from his book, God’s Optimism. Please join us on Sunday morning, May 21 for the Yom Yerushalayim Torah exploration presented by the Orthodox Union as we celebrate the fiftieth anniversary of the reunification of Yerushalayim. We will be showing video presentations by leading Rabbomin and teachers Rabbi Dr. Jacob J. Schacter, Rabbi Yitzchak Breitowitz, Rebbetzin Tziporah Heller, Rabbi Michael Rosensweig and Rabbanit Shani Taragin, each approximately 30 minutes long, on the religious importance of Yerushalayim. Please come by between 9:00am and 1:00pm to view all or some of these insightful presentations. A Gala Celebration Marking the Fiftieth Anniversary of the Reunification of Jerusalem, the Holy City, featuring Ambassador Danny Ayalon, former Ambassador of Israel to the United States, addressing "The Truth About Jerusalem". A video featuring the Ambassador is available by clicking below:https://youtu.be/Zz9CTBOKK4g. Pre-lecture reception for sponsors at 7:00pm in the Beit Midrash: Please help sponsor this important event by registering at www.rinat.org/ayalon. Sponsorship is available at $250 (Yerushalayim Shel Zahav), $180 (Migdal David) and $100 (Dreamer) levels. Sponsors are invited to a private reception and Q/A session with the Ambassador prior to the event and will receive priority reserved seating at the event. Friday night oneg Shabbat, May 26, 9:30pm: "The Curious Invention Named Modern Orthodoxy"
Pre-mincha shiur: "A Far-Flung Fraternity in a Fertile Desert: The Emergence of Rabbinic Scholarship in America". Post-mincha shiur: "The Pluralism of Psak: A Talmudic Legacy in Modern Times". The Adult Education Committee of Cong. Rinat Yisrael is pleased to announce that on Shabbat, June 3, we will once again participate in a highly engaging session of joint learning with our neighbors at Congregation Beth Sholom. This will be the third annual event of this nature and we feel proud that we have forged a unique partnership in Teaneck between our shuls. The past two years we succeeded in bringing together approximately 200 men and women to grapple with Biblical passages, rabbinic teachings and modern commentaries on challenging topics. This year's topic is "Torah - Ours or the World's?" which raises compelling questions pertaining to universalism and particularism. It is very important to sign up in advance, as the joint committee from the two shuls will be meeting on May 24th to divide participants into mixed ability and mixed synagogue groups and assign a facilitator to each group. Friends from other congregations are welcome, too - please send them the link and ask them to register in advance. Thanks for your cooperation by meeting the deadline for advance registration on May 22nd. We look forward to an exciting and meaningful learning experience. Please see below for the flier for this event. Due to the Cohen wedding tonight, Rabbi Adler's Gemara shiur will take placetomorrow, Tuesday evening May 16th. The Wednesday shiurim will take place as regularly scheduled on Wednesday, May 17.Thank you. Due to the Cohen wedding tonight, Rabbi Adler's Gemara shiur will take place tomorrow, Tuesday evening May 16th. The Wednesday shiurim will take place as regularly scheduled on Wednesday, May 17. We are seeking additional sponsors for this important shul event next Sunday evening commemorating Yom Yerushalayim to help defray the costs to the shul. See the below link. (We have added a $100 sponsorship level.) Sponsors are invited to a private reception and Q/A session with the Ambassador prior to the event and will receive priority reserved seating at the event. Even if you are not able to help sponsor, we encourage your attendance at what promises to be an interesting and elucidating evening, which is free and open to the public. A video featuring the Ambassador is available here: https://youtu.be/Zz9CTBOKK4g. Pre-lecture reception for sponsors: Please help sponsor this important event by registering at www.rinat.org/ayalon​​​​​​​. Sponsorship is available at $250 (Yerushalayim Shel Zahav), $180 (Migdal David) and $100 (Dreamer) levels. Sponsors are invited to a private reception and Q/A session with the Ambassador prior to the event and will receive priority reserved seating at the event. Rinat: Israel Film Festival today - advance tickets sales end at noon! EARLY BIRD REGISTRATION CLOSES AT 12:00 NOON TODAY! Join us at the NJ premier of this prize-winning Israeli film on Sunday, May 14, 2017, 8pm at Cong. Rinat Yisrael. For advance tickets ($7) click this link. Tickets at the door will be $10. Come early - there will be a full house! An accident during a bar mitzvah celebration leads to a rift between the men and women in a devout community in Jerusalem in this rousing, good-hearted comedy. Awash with Jerusalem's distinctive glow, THE WOMEN'S BALCONY is a warm, poignant portrait of a modern community struggling to balance protocol with practical, progressive values - at once rebellious and respectful in spirit. Watch the trailer at: https://www.menemshafilms.com/womens-balcony . The film has been hailed as "The most joyful and charming film of the year." Buy your tickets early to avoid being closed out. ​​​​​​​EARLY BIRD REGISTRATION CLOSES AT 12:00 NOON TODAY! A Gala Celebration Marking the Fiftieth Anniversary of the Reunification of Jerusalem, the Holy City, featuring Ambassador Danny Ayalon, former Ambassador of Israel to the United States, addressing "The Truth About Jerusalem". A video featuring the Ambassador is available here: https://youtu.be/Zz9CTBOKK4g. Pre-lecture reception for sponsors: Please help sponsor this important event by registering at www.rinat.org/ayalon. Sponsorship is available at $250 (Yerushalayim Shel Zahav) and $180 (Migdal David) levels. Sponsors are invited to a private reception and Q/A session with the Ambassador prior to the event and will receive priority reserved seating at the event. Due to unforeseen circumstances,Rabbi Adlers Gemara shiurtonight, Monday, May 8, has been cancelled. Due to the Cohen wedding next week on Monday night, next weeks Gemara shiur will take place on Tuesday evening May 16th. Thank you. Due to unforeseen circumstances, Rabbi Adler’s Gemara shiur tonight, Monday, May 8, has been cancelled. Due to the Cohen wedding next week on Monday night, next week’s Gemara shiur will take place on Tuesday evening May 16th. Rinat: Reminder: Ruth Wisse Lecture tonight! TONIGHT, Sunday, May 7, 2017 at 8:00pm, Rinat Yisrael Adult Education Committee is pleased to co-sponsor along with the Tikvah Fund, Professor Ruth Wisse, the Martin Peretz Professor Emerita of Yiddish Literature and Professor of Comparative Literature at Harvard University, Distinguished Senior Fellow at the Tikvah Fund, and noted lecturer, who will speak on: Are American Jews their Own Worst Enemies? A lecture and conversation with Prof. Ruth Wisse. As a scholar and a literary and social critic, Prof. Ruth Wisse is a unique figure in American Jewish letters. She bridges the worlds of Yiddish and American culture, of literature and politics, and of Israel and the diaspora. She has taught at McGill, Stanford, NYU, Hebrew U and Tel Aviv Universities, as well as at Harvard. Parsha shiur: Thursday May 4 at 8:30pm, Rabbi Ezra Wiener will be speaking. Shabbat, May 6, Pre-Mincha shiur at 6:25pm, Dr. David Berger, Dean, Bernard Revel Graduate School of Jewish Studies, will speak on: The Heavenly and Earthly Jerusalem: Divine Initiative and Human Effort in the Unfolding of Redemption. Sunday, May 7, 2017 at 9:15am, Matan in the Morning celebrating Jerusalem’s Jubilee—featuring Rabbanit Malke Bina offering greetings from Matan, Rabbanit Shani Taragin addressing: "Yerushalayim: Who Chooses Whom?" and Mrs. Yael Leibowitz addressing: "Jerusalem’s Tapestry of Identities." Sunday, May 7, 2017 at 8:00pm, Rinat Yisrael Adult Education Committee is pleased to co-sponsor along with the Tikvah Fund, Professor Ruth Wisse, the Martin Peretz Professor Emerita of Yiddish Literature and Professor of Comparative Literature at Harvard University, Distinguished Senior Fellow at the Tikvah Fund, and noted lecturer, who will speak on: Are American Jews their Own Worst Enemies? A lecture and conversation with Prof. Ruth Wisse. As a scholar and a literary and social critic, Prof. Ruth Wisse is a unique figure in American Jewish letters. She bridges the worlds of Yiddish and American culture, of literature and politics, and of Israel and the diaspora. She has taught at McGill, Stanford, NYU, Hebrew U and Tel Aviv Universities, as well as at Harvard. Rinat: Israel Film Festival at Rinat next Sunday! Sunday, May 14, 2017, at 8:00pm, Israel Film Festival featuring the hilarious, heartwarming, prize winning film "The Women's Balcony" prior to its general release in NJ theaters. Join us at the NJ premier of this prizewinning Israeli Film on Sunday, May 14, 2017, 8PM at Cong. Rinat Yisrael. For tickets ($7) click the link here. Tickets at the door will be $10. Come early - there will be a full house! Watch the trailer at: https://www.menemshafilms.com/womens-balcony . An accident during a bar mitzvah celebration leads to a rift between the men and women in a devout community in Jerusalem in this rousing, good-hearted comedy. Awash with Jerusalem's distinctive glow, THE WOMEN'S BALCONY is a warm, poignant portrait of a modern community struggling to balance protocol with practical, progressive values - at once rebellious and respectful in spirit. Rinat: Reminder re Rav Glickman shuir series - starts tomorrow! Kehunah Lecture Series | Rabbi Ozer Glickman will be delivering a lecture series on Bikdushato Shel Aharon: The Practice of Birkat Kohanim, covering many concepts concerning Kehuna, with a focus on modern-day Avodah. The series will run at 8:00pm each Tuesday between Pesach and Shavuot (4/25, 5/2, 5/9, 5/16 & 5/23). The first four sessions will be source-based, yeshiva-level style study, examining the Talmludic and halachic process that led to the BIrkat Kohanim we know today; the fifth session will be a summary and include practical halachic applications. The series is open to all, men and women, kohanim and non-kohanim, alike. While the series will build from one session to the next, each session can also be understood and appreciated as a self-contained unit; so anyone interested is welcome to attend one, some or all of the shiurim. Rabbi Adler's weekday shiurimwill resume next week. Due to the Yom Hashoah program on Monday night, the Gemara shiur will meet Tuesday night April 25 and the Chumash and Mishnah classes will meet at their regular Wednesday slots beginning April 26. Rabbi Adler's weekday shiurim will resume next week. Due to the Yom Hashoah program on Monday night, the Gemara shiur will meet Tuesday night April 25 and the Chumash and Mishnah classes will meet at their regular Wednesday slots beginning April 26. No Thursday night Parsha shiur this week. Pre-Mincha shiur: This Shabbat, April 22: Rabbi Yosef Adler will give his annual Mima'makim shiur in honor of Yom Ha'Shoah V'hagvura. On Sunday, April 23, 2017 at 8:00pm, The Adult Education Committee of Cong. Rinat Yisrael will host a special event in honor of Yom Hashoah Vehagvurah. Dr. Irit Felsen, renowned therapist and researcher of the trauma of the Holocaust, will explore: "The Effects of the Holocaust on the Children of Survivors: A Tale of Courage". Dr. Felsen will present case studies highlighting the effects of the Shoah on the second generation from two different perspectives - difficult challenges as well as unusual resilience. To view the flier for this event, please click here. Rabbi Wiener invites boys in 6th-8th grade to a series of shiurim which will meet on Tuesday nights covering topics relevant for young men in the pre and post bar mitzva age range. Topics will include Tefila Betzibbur, The laws of the Shaliach Tzibbur, Biur Tefila and more. Rabbi Adler's classes are cancelled today, Wednesday, April 19. All shiurim will resume next week. Due to the Yom hashoah program on Monday night, the Gemara shiur will meet Tuesday night April 25 and the Chumash and Mishnah classes will meet at their regular Wednesday slots beginning April 26. Due to the Schiff wedding, the Monday night Gemara shiur will not meet tonight and due to the Gush Dinner, the Wednesday night Mishna shiur will not meet. The Wednesday afternoon Chumash shiur will meet at 1230pm, as usual. Due to the Schiff wedding, the Monday night Gemara shiur will not meet tonight and due to the Gush Dinner, the Wednesday night Mishna shiur will not meet. The Wednesday afternoon Chumash shiur will meet at 12:30pm, as usual. Sunday, March 26 at 8:45am, Rabbi Michael Rosensweig, Rosh Yeshiva and Rosh Kollel, Yeshiva University, will speak on the topic of Chametz Nukshe. Hilchot Pesach shiur - Rabbi Wiener - Tuesday March 28th at 8:00pm. Insights into the HaGaddah - Rabbi Adler - Thursday March 30th at 8:15pm. Please click here for the 5777 Rinat Pesach Guide. Parsha shiur: Tonight, Thursday, March 23, 8:30pm with Dr. Avram Becker. Topic: The Heavenly Cloud: An Invitation or Barrier to connecting to the Eternal One. This week, Friday, March 24 at 7:00pm, Shabbat Mevarchim HaChodesh, the parallel Beit Midrash minyan will feature a Carlebach-style davening. Please join us! Pre-Mincha shiur—Shabbat, March 25, 5:40pm. Dr. Ari Mermelstein will speak on:"Did the Wise Son Own a Haggadah? Talmud Torah as an Alternative to Sippur Yetziat Mitzrayim on Seder Night". Sunday, March 26 at 8:45am, Rabbi Michael Rosensweig, Rosh Yeshiva and Rosh Kollel, Yeshiva University, will speak on the topic of Chametz Nukshe. Sponsored by: Marilyn and Joseph Bench in memory of Joey's father Dovid Aryeh ben Yosef Hacohen z"l and Marilyn's father Yakov Shmuel ben Moshe Dovid Aryeh z"l; and by Marcia and David Jacobowitz in memory of David's father Avraham ben Dovid Hacohen z"l and David's mother Rochel Leah bat Harav Aryeh Leib ben Chana Benchkovski z"l.
Pre-Mincha shiur—Shabbat, April 1, at 5:45pm: Dr. Miryam Wahrman, will speak about "Holy Hands/Safe Hands". Sunday, April 2, at 8:50am: Rabbi Menachem Leibtag will speak on the topic: Are we truly not obligated to eat matzah for seven days? “Pshuto she Mikra” vs. “Pshuto shel Torah”. Hilchot Pesach shiur - Rabbi Wiener - Tuesday March 28th, 8:00pm. Insights into the HaGaddah - Rabbi Adler - Thursday March 30th, 8:15pm. Parsha Shiur: Tonight, Thursday, March 16, 8:30pm with Dr. David Berger. Topic: Who or what was worshipped at the chet ha-egel? Shabbat, March 18 - YU/RIETS Shabbaton at Rinat featuring a pre-mincha shiur with Rabbi Ari Berman, who will be speaking at 5:30pm on the topic: "Jewish Education and Personal Identity: An Evolutionary Story". Mincha is at 6:30pm, followed by a community-wide Seudah Shelishit with President Richard M. Joel, Rabbi Hershel Schachter, Rabbi Menachem Penner. 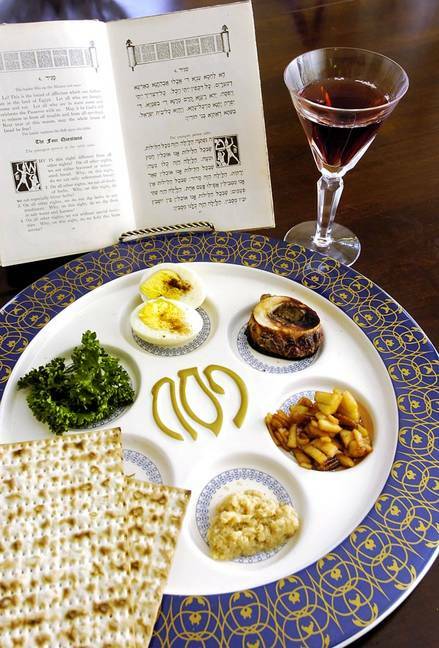 Monday, March 20, at 7:30pm - Pesach prep with Dr. Zalman Suldan - "Seder Surprises"
Are you tired of having the same Pesach seder year after year? Have you ever wondered how you could get your children to be more engaged in the seder experience? This Monday, March 20, at 7:30pm at Congregation Rinat Yisrael, Dr. Zalman Suldan will again present his acclaimed "Seder Surprises" program, featuring creative, hands-on ways to make your sedarim more engaging and exciting for kids and adults alike. If you have attended previous installments, you know how good it is and this year promises to produce new and exciting ideas. First-timer? You are in for a treat! Co-sponsored by Yavneh Academy and Congregation Shaare Tefillah. Sunday, March 26, 8:45am - Rabbi Michael Rosensweig will speak on the topic of Chametz Nukshe. Sponsored by: Marilyn and Joseph Bench in memory of Joey's father Dovid Aryeh ben Yosef Hacohen z"l and Marilyn's father Yakov Shmuel ben Moshe Dovid Aryeh z"l; and by Marcia and David Jacobowitz in memory of David's father Avraham ben Dovid Hacohen z"l and David's mother Rochel Leah bat Harav Aryeh Leib ben Chana Benchkovski z"l.
Parsha Shiur: TONIGHT, Thursday, March 9 at 8:30pm; Rabbi Eli Rubin will be speaking on the topic: Amalek - And We Were Tired and Weak. Together with Yavneh Academy and Congregation Shaare Tefillah, the Adult Ed Committee is proud to present “Seder Surprises.” Come join Dr. Zalman Suldan as he demonstrates creative, hands-on ways to make your sedarim more engaging and exciting for kids and adults alike.